So I firstly stumbled across this image when I was searching for mummies. As in the monsters. As in The Curse Of… and other such classic movies, let alone Brendan Fraser in between his Encino Man and Scrubs period. So no, I have no idea how this one came up, but I’m glad it did. 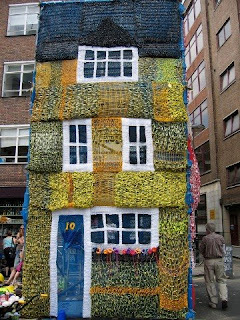 A knitted house. How ace is that? The website that it’s on only has this to say about it: This home was created by a group of women who enlisted the help of friends and family. Not a lot of information, but that’s sometimes the way it goes. There’s a couple more photos on the site, including a close up of the flowers on the window by the door. Again, no details as to HOW they did it – is it around the mother of all cardboard boxes? is it wrapped around a small house? Peering at it closely I can see that some of it is see-through, and it appears that there’s a scaffold underneath it. Well, that’s the most logical way to do it in my mind. And of course, all the experts tell us that we should match our decor. 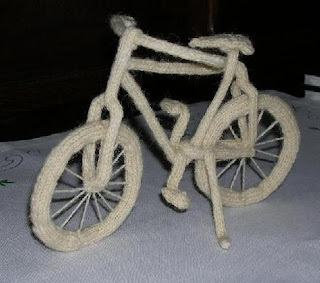 If you have a knitted house, the next item on the shopping list would be Some kind of knitted transport. 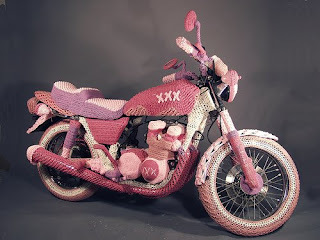 Teresa Honeywell has knitted this motorbike, it’s a cover around a real bike. 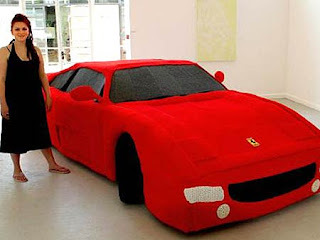 If you’re not a bikin’ kind of person, how about a knitted ferrari? Lauren Porter and 20 of her family and friends knittted this in honour of Lauren graduating from Uni. It’s created on a steel frame Lauren welded herself. IS THERE NOTHING KNITTERS CANNOT DO? < / knitting > Which I think is only http://onhealthy.net/product-category/skin-care/ fitting, seeing as the knitting part of this post is now done. In other news, my marionette has been featured in a treasury about puppets called Strings, which is lovely, and I’m getting some ace comments about my Lucky Rocketship Underpants Tee. Bizarre and weird album, and as a kid I loved it. We played the tape to death as I recall. Anyway, I’ll photograph the mummy when it’s finished, but thinking about that song and staring at the mummy sitting on my bed makes me wonder if the mummy I’m knitting is her or him. Next post: interview on 3CR!